The last few years, my early July social media feeds have been filled with infographics and memes on the dangers of fireworks for veterans, as well as for pets. Digging even deeper, there are also harmful environmental impacts which should be considered. Our every day actions and accepted cultural traditions sometimes have effects that become uncovered over time. 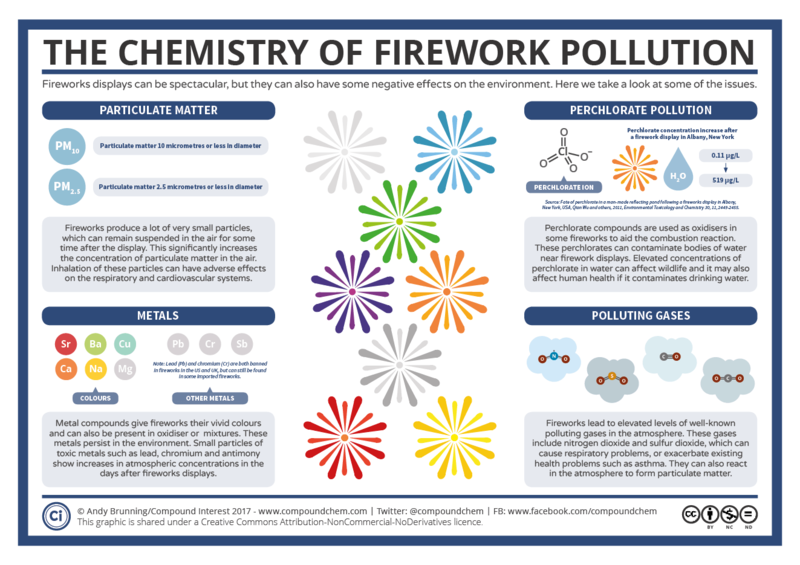 The holiday tradition of fireworks is one of those which should be reexamined and perhaps some new, more environmentally and socially friendly traditions can be established.